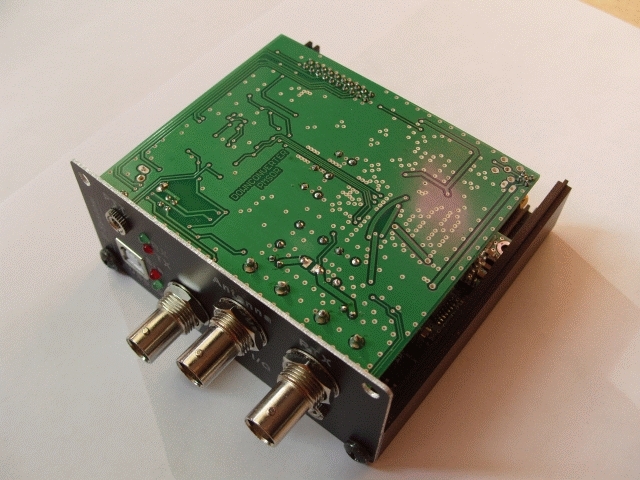 It’s a complete downconverter for the VHF-UHF bands, covering from about 90 Mhz up to 500 Mhz. 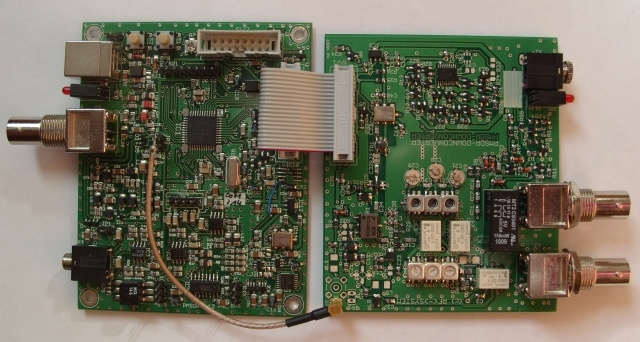 The board can be added to the PMSDR as an option, extending the frequency range up to 500 Mhz. 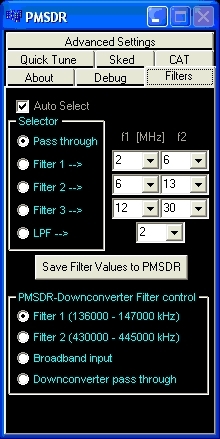 There are two preselection filters, for VHF and UHF bands, but it’s also possible to exclude these filters in order to use external filters. A particular feature of this downconverter is the digitally tunable LO, from 10 up to 810 MHz; this allows use of a wide range of IF frequencies. 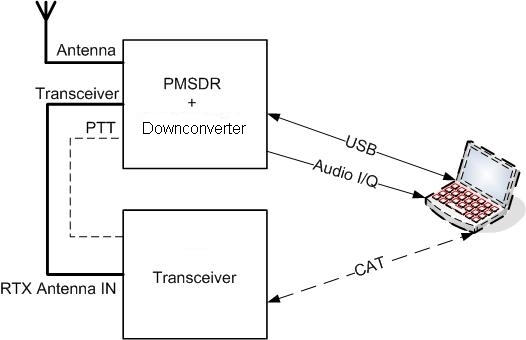 Furthermore, the downconverter has also a build-in automatic T/R antenna switch, which permits use of a transceiver on the same antenna as the PMSDR (see Switchboard). Furthermore, the downconverter have also a build-in automatic T/R antenna switch, which permit to use a transceiver on the same antenna with the PMSDR (see Switchboard). Don’t use the PTT control line. 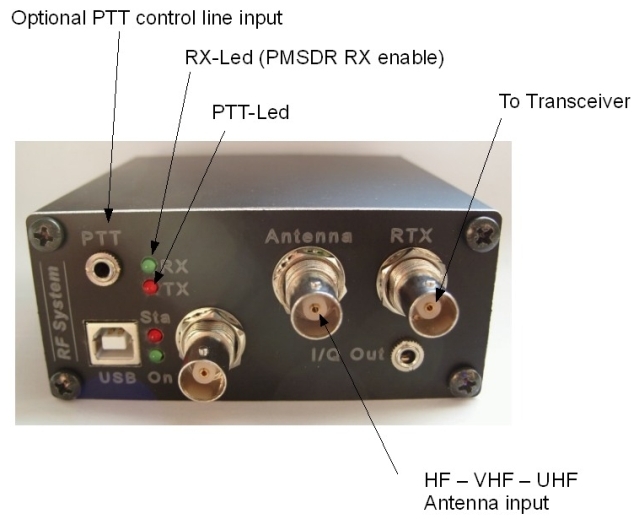 When the switch plug-in board senses RF power on the RTX input (HF-VOX), it automatically switches transceiver to the antenna, otherwise the antenna is connected to the PMSDR.